Don't 'Free From' Cakes Taste Horrible? It is a common misconception that, because there are certain ingredients missing, the quality won't be as good. In some cases that is true but, if the missing ingredients are substitued correctly, the taste and texture is just as good if not better. If made well it should be very difficult to be able to tell the difference between a free from cake and a regular cake. 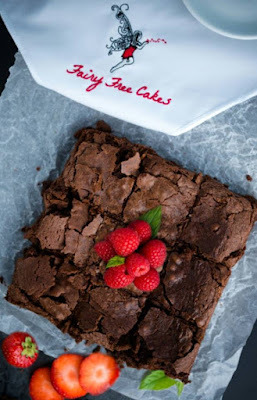 Why are your cakes more expensive than supermarket ones? I get asked that regularly. If you go into most supermarkets you will find free from products, but they are mass produced and therefore the ingredients are bought in bulk quantities. The items are produced in very large batches in factories, therefore they are able to be sold in large quantities keeping the costs down. 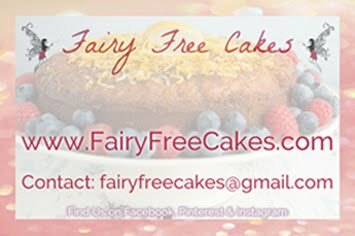 Fairy free cakes are homemade in smaller amounts, with fresh ingredients, do not include any preservatives unlike the supermarkets and are made by hand to order. It is generally agreed that homemade cakes taste better than shop bought ones and the delights of Fairy Free Cakes are no exception. If you take eggs out how does it hold together? When can I start eating my cakes? Please store your products in a cool place outside of the fridge as sponge cakes dry out in the fridge, however, in hot temperatures products with buttercream should be kept in the fridge and then transferred to a cool place or counter for approx 30 mins to soften before eating. How long do the cakes keep for? We suggest that all products are consumed on day of delivery to ensure quality and freshness however if kept in an airtight container, in a cool place, will last for a few more days. Cookies and brownies will last a bit longer if you can resist them. copyright © Fairy Free Cakes, all rights reserved.